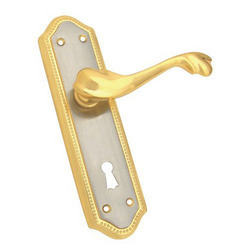 We have gained a remarkable position in the market that is involved in offering Brass Mortise Handle. Owing to our rich industry experience, we are able to offer Mortise Handle. Owing to the wide experience in this domain, we are instrumental in offering Mortise Door Handle to our clients. Our company is highly rated in offering Designer Mortise Handle to the clients. Designer Mortise Handle is dimensionally accurate. Offered range is made and designed by making use of quality components and latest technology under the guidance of adroit professionals. This product is hugely appreciated by clients. Owing to the presence of our expert team members, we are engaged in presenting Mortise Door Handle.